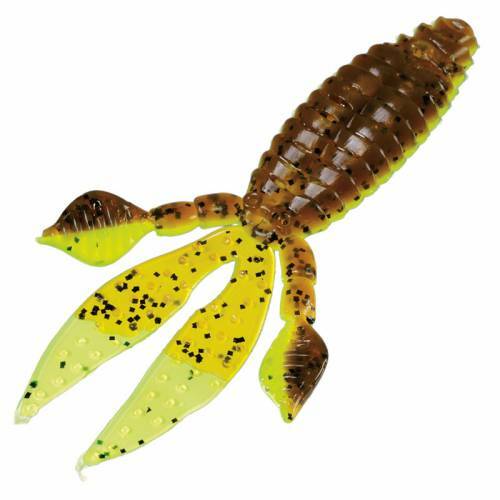 Strike King KVD 4" Rodent Soft Bait - Summer Craw. Kevin VanDam and Strike King have designed a heavy cover fishing dream designed to make a major disturbance underwater. Bubble tipped appendages and soft plastic tails create incredible action and is perfect for Texas or Carolina rigs or a jig trailer. A super soft, salty soft bait loaded with coffee scent, which masks human scents and oils. 4" long. 6 per package.